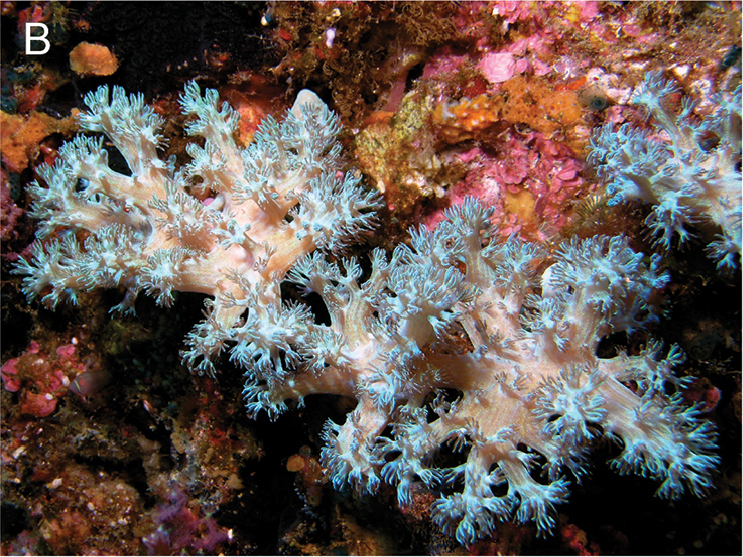 The taxonomy of xeniid corals has in recent years become almost indecipherable. Thanks to the increased use of genetic sequencing and SEM microscopy, we now have a better understanding of this group’s true biodiversity, but it’s had the consequence of rendering our old systems of classification obsolete. So a barrage of new and obscure generic names has entered into the lexicon in the past two decades: Bayerxenia, Fasciclia, Ingotia, Ixion, Orangaslia, Ovabunda, Yamazatum. And now we a couple more new entries joining their ranks, one of which will be very familiar to reef aquarists. 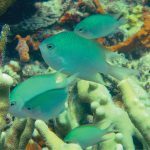 Among the xeniids available through the aquarium trade, the coral known as Cespitularia (AKA “Blue Xenia”) is one of the most popular and widely available, surpassed only by its pulsing cousin Xenia (and Heteroxenia… and Ovabunda?) and the large waving hands of Anthelia. 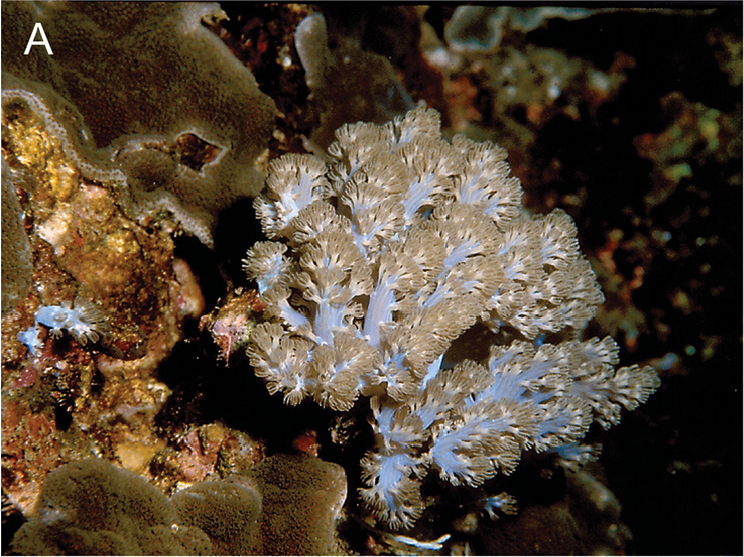 But from a taxonomic point of view, the true identity of this coral has long been questionable. As Benayahu et al. describe in the latest edition of ZooKeys, “There is considerable confusion in the literature concerning the diagnosis of the xeniid genus Cespitularia.” This stems in part from the inadequate descriptions of the first two named species, and the subsequent loss of these type specimens. 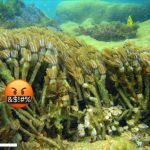 The figures used to illustrate these taxa are also alleged to have been switched during publication, creating even more confusion… and the corals illustrated don’t even match up with our current concept of what this genus entails. One species, C. multipinnata, has a suspiciously Xenia-like morphology, while the other, C. subviridis, has a more traditionally Cespitularia-like morphology, but with sclerites completely unlike what is known for the family. Things are a bit untidy with this group, to say the least. And so, confronted with these difficulties, the authors seem to have chosen to ignore the existence of this genus entirely in favor of establishing two new ones. These new groups are based on a combination of sclerite micromorphology and the uniqueness of their genetic lineages. The coral aquarists know and love as Blue Xenia now appears to go by the tongue twisting binomial Conglomeratusclera coerulea. [Try saying it a few times quickly… it really does roll off the tongue beautifully, like so much linguistic honey.] Aside from its genetic unrelatedness to other xeniids, its main diagnostic trait is the “unprecedented and bewildering array” of agglutinated sclerites. In something like Xenia, these structures are roughly the size and shape of red blood cells, but those of Conglomeratusclera are more like minute spheres which have been glued together haphazardly. This is where that egregiously septasyllabic nomenclature derives from, as the sclerites form into messy conglomerations. A further discovery was the relative uselessness of some of the traditional morphological traits relied upon for species-level identifications in this family. Genetic study showed that differences in the number of pinnules along the sides of each tentacle failed to correlate with any sort of genetic distinction. If this holds true for other genera in the family, we may eventually see many of the presently recognized species synonymized as morphologically heterogenous taxa. 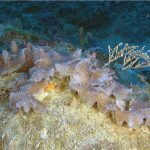 However, the number of pinnule rows present on the tentacles was used to recognize the only other species placed into this genus. In C. robusta, reported from the Seychelles and Mayotte, there are two pinnule rows, while in the more widespread C. coerulea, there is just a single row. It remains to be determined just how meaningful this distinction is, as there weren’t any fresh specimens of the robusta phenotype for genetic comparison. Lastly, we’ve got one more new genus to throw on the heap. Caementabunda simplex is an unusual xeniid whose colonies feature a short encrusting base and a number of thick lobes. 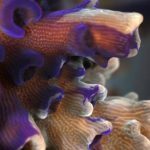 The polyps themselves are rather small and non-retractile (and presumably non-pulsing), and the coral as a whole seems almost out of place within the family, more closely resembling something like Sinularia or a stubby nephtheid. 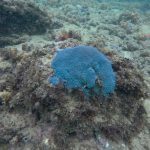 It’s reported from shallow waters across the Indo-Pacific, though it doesn’t look to be anything that has been collected for the aquarium trade (or, if so, only rarely). This new genus is also named for the morphology of its sclerites, which are abundant and comprised of minute microscleres which are cemented together.